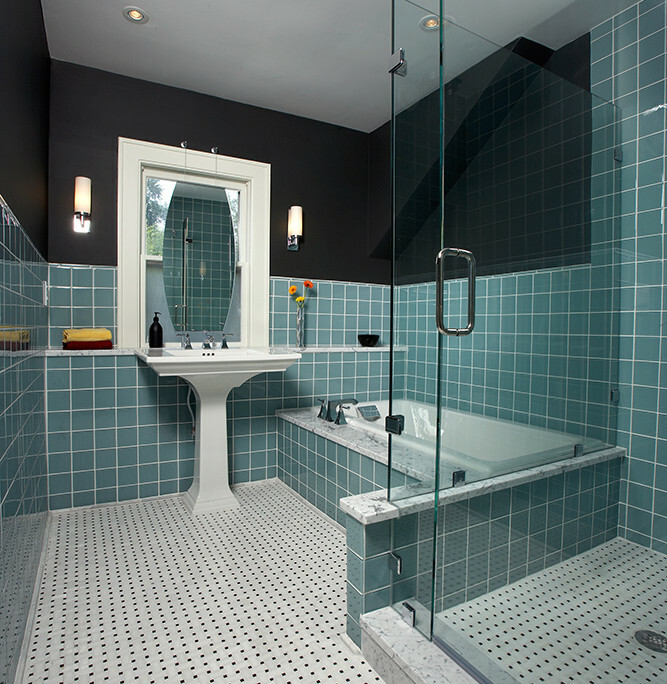 Our challenge with this Bryn Mawr master bathroom was to create a modern look that still fit the period of the home. 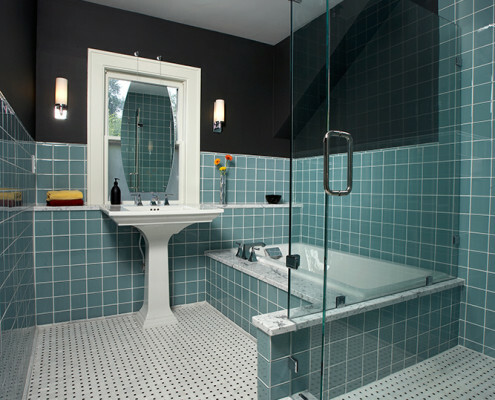 The existing tub with beadboard wainscoting was in front of the only window and our client wanted to separate the bathtub and shower. 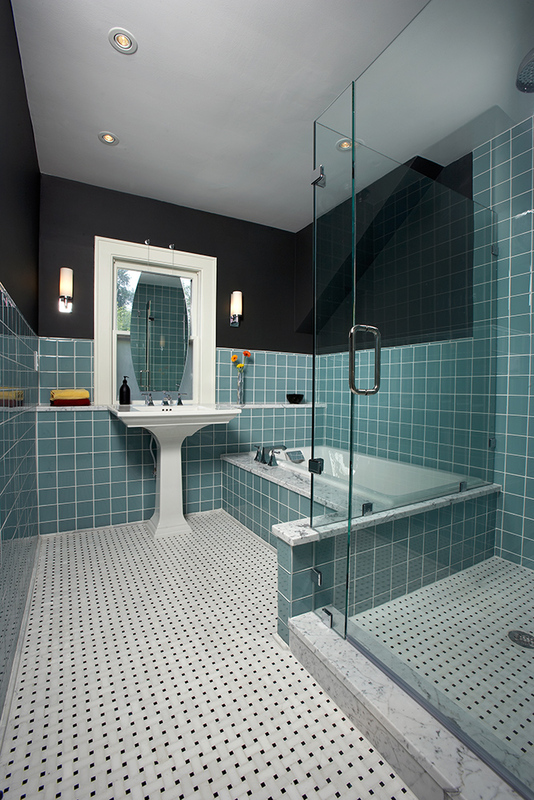 To accommodate, we moved the location of the tub and placed the pedestal vanity in front of the window. 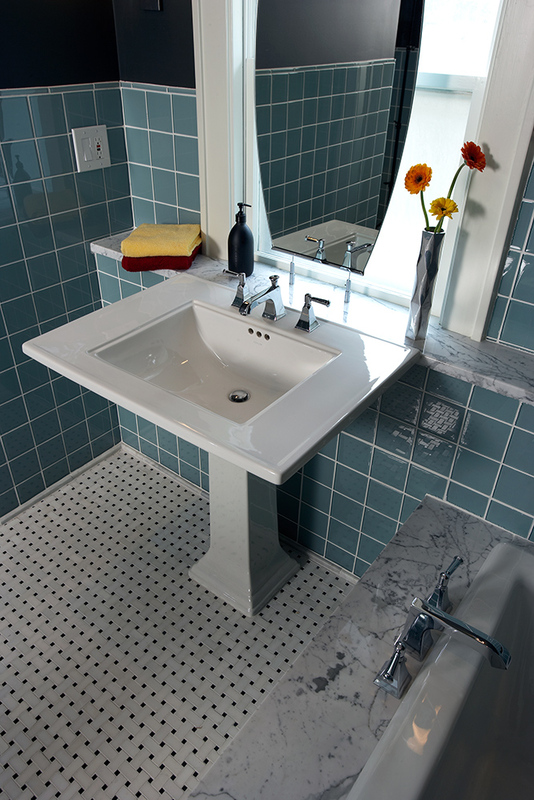 Our challenge was to find a location for a mirror above the vanity. 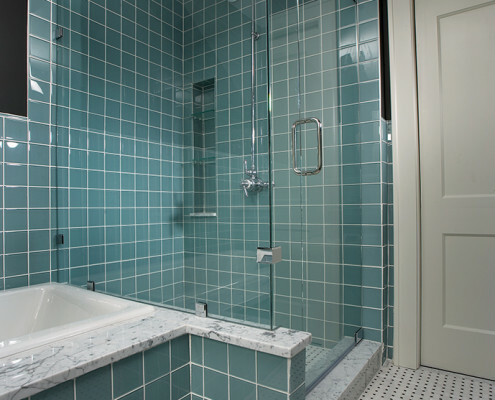 To solve it, we installed a wire hanging system with the mirror in front of the window, now taking place of a window treatment. 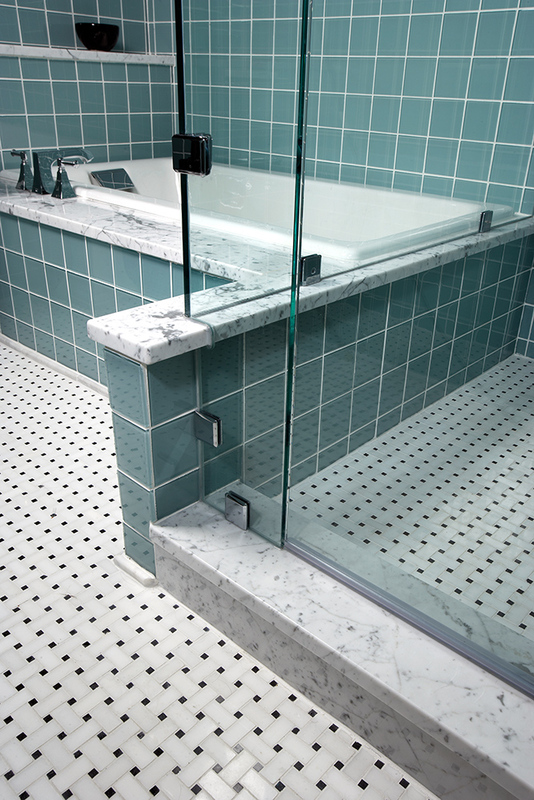 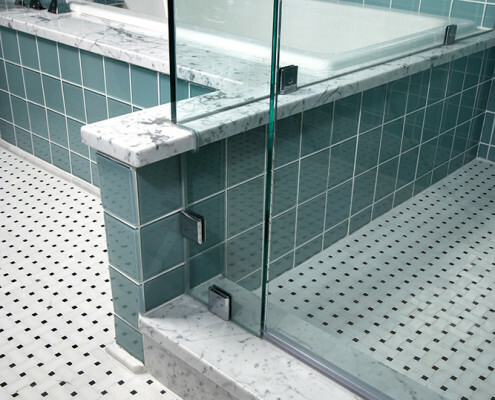 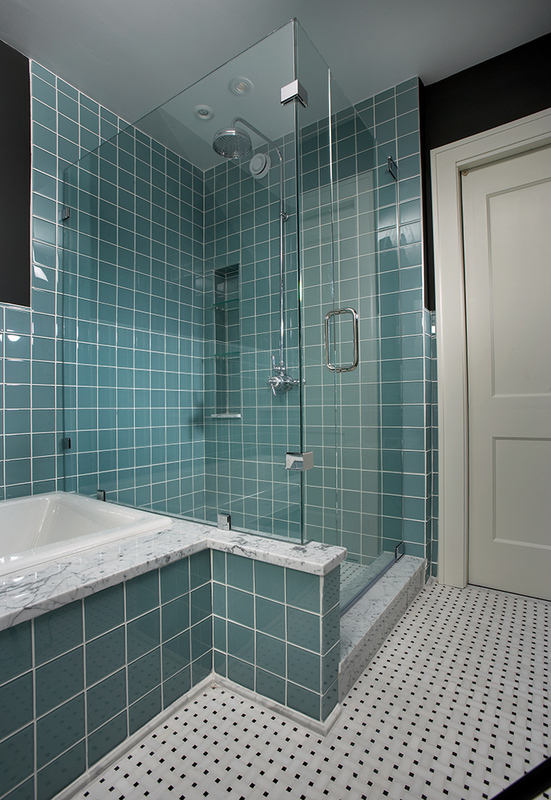 Classic pattern marble tile floor was paired with frameless shower, glass tiles and deep blue walls for a bold accent. 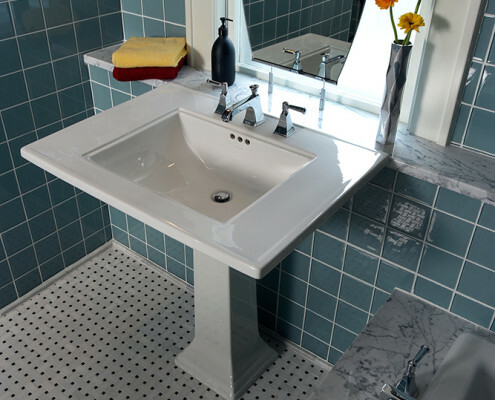 A half wall provides additional storage for pedestal vanity and accents.